Capture your life’s adventures with the newly available GoPro HERO5 at the Health Sciences Library. 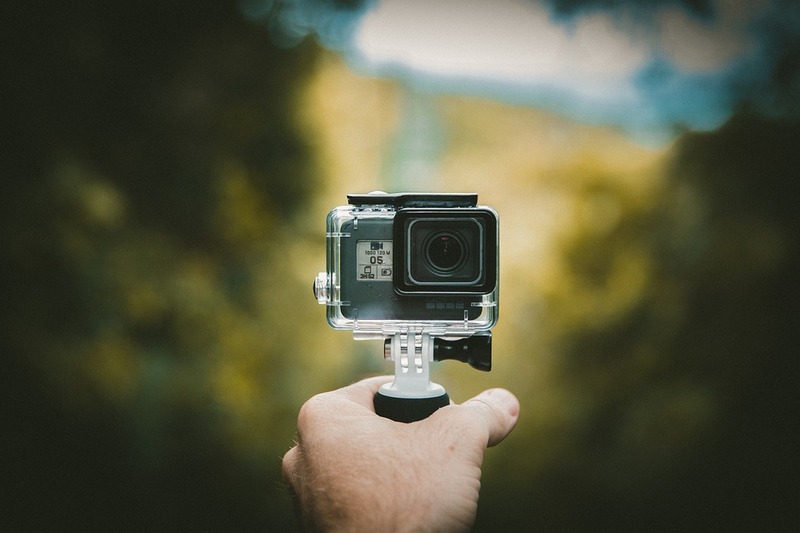 Did you know that you can submit your content for a GoPro award? There have been some great ones and perhaps one day, we will see yours up there! Halloween wonder kid is one of our favorites. 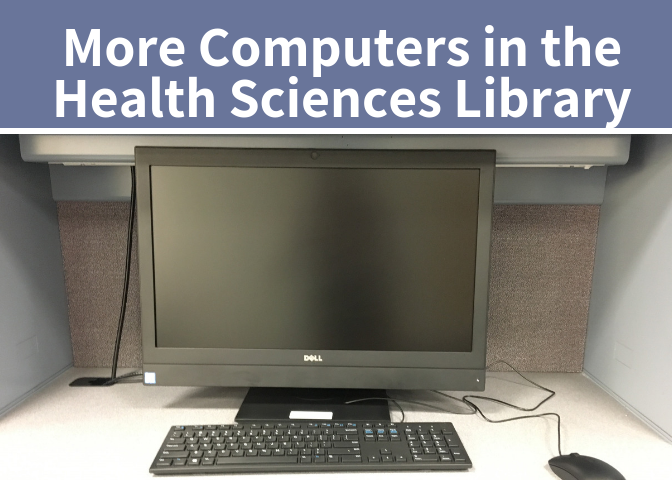 You asked, we listened: More computers on the main floor! 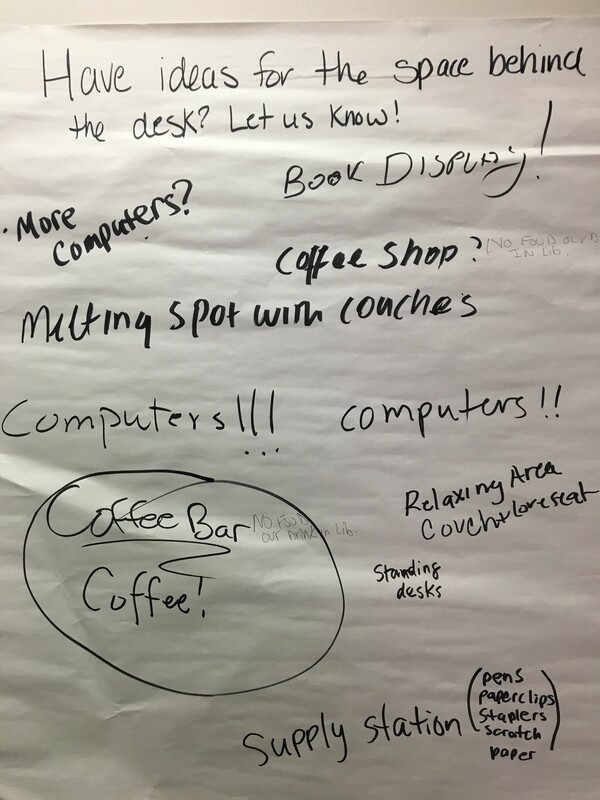 We recently asked what you’d like to see at the library and a popular answer was more computers (See image below 😊). Three more computers were placed in the back of the library, in the blue colored room. Not only did we add new computers, the six computers, toward the front of the library, were replaced with newer models. The library has many computers, both windows and macs, on the 1st floor, but we know computer access is limited when the 1st floor is restricted for exams. We hope these computer additions will provide the access you need. We welcome any ideas you have to make the library your library. If you have a recommendation, please contact us or write your ideas on the pad of paper when you first walk in. We love all ideas big and small. 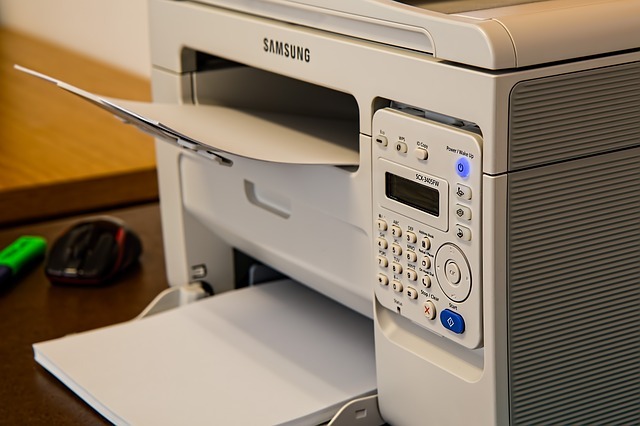 We’d like your feedback about whether to use scarce funding to purchase a new scanner for the photocopy room of the Health Sciences Library. We have two models on trial. They are easy to use, and you can send to your cell phone, e-mail or a jump drive. Please feel free to stop by and give them a try.